Explainer: Who actually decides the Oscar winners every year? We delve into the murky waters of the Oscars voting process. SO MANY PEOPLE watch the Oscars every year, but many of us don’t know the murky details of what exactly goes on behind the scenes. So, who actually decides who wins each Academy Award? Basically, everyone who is a member of the Academy gets to vote on each of the categories at the Oscars and ultimately decides who goes home with the statuette. The Academy has just under 6,000 members, and it’s these people alone that decide all the gongs that get handed out each year. The Academy keeps a tight seal on its full list of members, but it’s made up entirely of people who have worked in the movie industry either in the past or currently. You have to be invited to join by the Academy following a nomination or you can be elected by at least two other people who are already members. The Academy is often criticised as having a lack of diversity because of this study by the LA Times in 2012 that showed it to be a largely white, middle-aged and male demographic voting on the awards. So, is it all famous actors and directors in the Academy? Around 1500 members of the 6000 are actors and directors. The rest of the people are producers, set builders, visual-effects specialists, sound workers, and PR execs in the industry. Do movie companies try to sway the voters before the Awards? Despite the fact that The Academy has introduced rules against sending gifts to members in an attempt to sway votes – and according to the Huffington Post, there is still regular spending by big studios on lavish gifts and campaigning directly to Academy members for their specific films and actors to triumph. According to this article in Deadline in 2012, these campaigns can be anything from cocktail parties to full on private screenings and Q&As with the actors involved. Again, strict rules apply to when these types of events can take place, with the Oscars having a full, detailed set of rules in place just for campaigning. This year saw a massive PR push to get Jennifer Aniston nominated for the Best Actress award for her role in Cake – with the studio even hiring an awards consultant to ratchet up the intensity of screenings and media coverage. It didn’t work though, and the nomination was not forthcoming – despite Aniston getting nominated for a BAFTA, SAG and Golden Globe for the role earlier this season. Have there been any voting controversies in the past? Yes. For a competition with so many strict rules on entry and eligibility, there are often controversies with selection and uproar over the methods that the Academy uses to select nominees and winners. In 1995, the nominees for Best Documentary were decided by a selection of members watching the long list of films and shining a torch each when they deemed the film not worthy of their time. 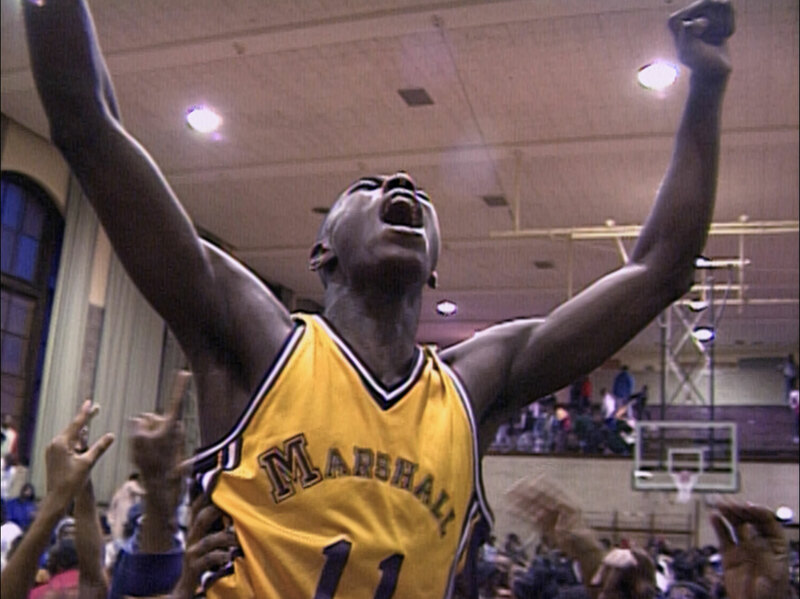 This led to the noted sports documentary classic Hoop Dreams missing out on a nomination because the Academy Members didn’t finish watching it as enough lights had been shined. This led to a change in the rules for Best Documentary from then on. Glen Hansard and Markéta Irglová won the Oscar for Best Original Song in 2008 for Falling Slowly in Once – but they were very nearly disqualified by the Academy before the ceremony, as there were claims that it had not been performed and recorded specifically for the film. The Academy eventually ruled in favour of Hansard and Irglová – and they went on to claim the Oscar. What should we be looking out for this year? Selma, the movie about the civil rights movement in the US in the 60s, is up for Best Picture – and is widely considered to be one of the best movies of the year. Its director, Ava DuVernay, and its main star David Oyelowo were both left out of the Best Director and Best Actor categories respectively – so they will not be featuring. The tightest race looks set to be for the Best Actor award between Michael Keaton for Birdman and Eddie Redmayne from The Theory of Everything. Bradley Cooper and Benedict Cumberbatch are outsiders in that category, but could well play a part. Join DailyEdge.ie for live Oscars coverage throughout the night tomorrow evening. Download our free app here (iOs) or here (Android).